Subject: LongIsland.com - Your Name sent you Event details of "7-in-Heaven Wine Class / Tasting - 3 Age Groups"
Guys ... you don't want to miss this one... women love wine... learn how to impress your date! 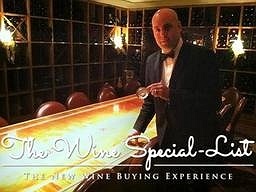 Unique high end wine samples from several countries; Michael Friedwald; Wine sommelier of The 21 Club in Manhattan; featured in NEWSDAY will be presenting a fun demonstration and education on everything you need to know about wines ! CASH OPTION at door is $42 with RSVP - subject to availability limited spots !